Halloween is all about dressing up, indulging in lots of sweets (and perhaps some Halloween drinks) and just letting go. But for those that suffer from eczema, the thought of Halloween parties and events can be extremely nerve-racking. With Halloween quickly approaching, we wanted to offer some tips on how to make an eczema-friendly Halloween for all ages. Although it’s a little easier to avoid certain foods as an adult, it might not be as easy for someone who’s a lot younger. Children are absolutely obsessed with Halloween, but candy, costumes and makeup with allergens can put a real damper on their celebrations. Not to mention sending them to school for Halloween parties and events. It’s difficult to ensure your child is well protected without becoming a Halloween Scrooge. We hope these 5 tips will lend a hand in all your Halloween celebrations, whether you’re partying with friends or family. If you have any tips of your own, we’d love to hear about them in the comments below! Trick or treating creates some of the best memories for children, so obviously continuing this tradition is important. The problem is that most houses tend to give candy that is full of GMO, behavior altering dyes, allergens and so much more. So, how to trick or treat when the options can all be disastrous? Let us introduce you to The Switch Witch! If you haven’t heard about the Switch Witch, make sure to check out MamaNatural’s video here. Similarly to Elf on the Shelf for Christmas or Mench on a Bench for Hannukah, this toy is the perfect tool for getting your kids to enjoy Halloween in a different way. Switch Witch adores candy and if a child leaves out their candy for her, she will gladly scoop it up and leave a present or an allergy free candy in its place. This healthy alternative is still exciting for everyone involved and can still incorporate the trick or treat tradition. Just remember not to be wasteful and make sure to donate the candy to someone else. There are some great programs that send candy to troops too! Another option for trick or treating is to keep a lookout for any houses that might be displaying a teal pumpkin. We know not all children with eczema have allergies, but many do and even more are sensitive to many of the common food allergens, so this next tip is just for them. 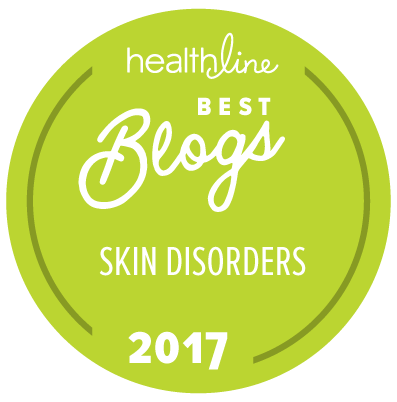 (For more on food and how it impacts eczema, see this post. )This movement is part of The Teal Pumpkin Project by FARE that promotes the awareness of food allergies while offering children an alternative to candy. If you’re interested in learning more or would like to create your own teal pumpkin, make sure to check out all the information here. If your little one is still pressed on eating candy, then make sure to look for non-GMO, Organic, Allergy free candy instead. Try consulting this list from Kids with Food Allergies to learn about 8 allergen free Halloween treats. For GMO free “healthier” candy we love YumEarth. Check out their lolipops and gummy bears for starters. Many costumes out there are made with various synthetic ingredients including polyester, latex and other non-breathable materials. Instead of purchasing your costumes at the Halloween store, research ideas that can use more breathable materials, perhaps those you make yourself from pieces picked up at a local thrift or second hand store. Making your child’s costume from scratch can be a really fun activity to do together – excellent for distraction from scratching! Alternatively, if your child just won’t budge on their costume idea, or you can’t find alternative materials, try wearing under garments that can prevent the fabric from directly rubbing or scratching against the skin. Remedywear makes shirts, leggings, bands and gloves that can be easily placed underneath yours or your little one’s clothing and provide a soothing layer of TENCEL and zinc for cooling comfort. For makeup, if you have facial eczema then we recommend staying away from all face paint, as it can severely irritate the skin even further. Also make sure to stay away from masks as they are normally made with synthetic materials that can irritate skin and are mostly not breathable. However, if your eczema is elsewhere and your face is clear and you’d like to paint your face, always test the makeup on a small patch of skin to make sure you don’t react before slathering it on liberally. And opt for a natural, non-toxic brand like this one. Or try making your own makeup at home. This face paint recipe can help you turn into any creature you’d like! Halloween at school can be difficult between the costumes and candy. To make sure your little one doesn’t miss out, try approaching teachers early on to express your worries about allergen candies and costumes/makeup. 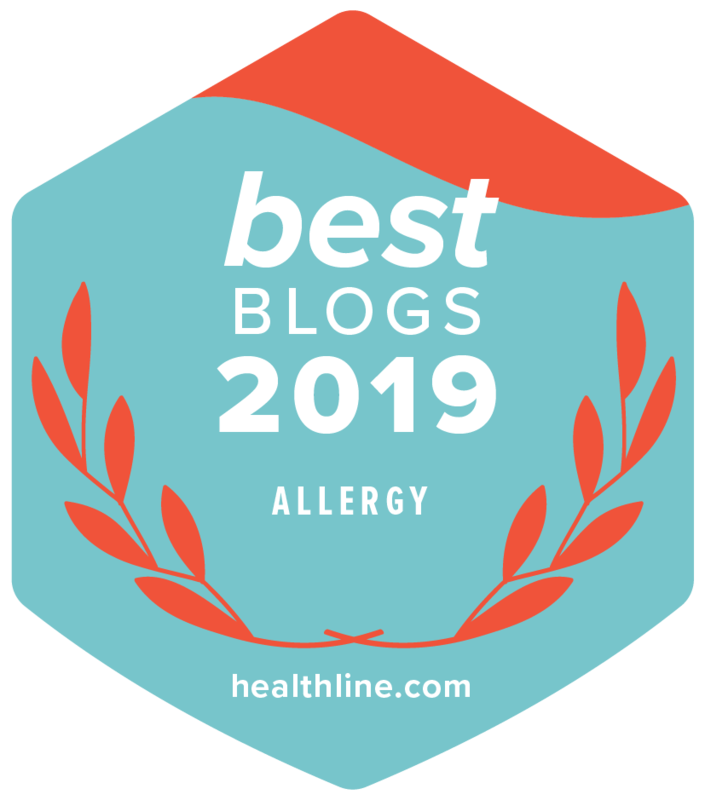 If you want to provide additional information on food allergies at school, make sure to check out our blog post: How Can I Cope with Sending a Child to School with Allergies, Eczema, and Asthma? Feel free to share any of these resources with your child’s school teachers and nurse too! Lastly, if you’re worried most about candy, feel free to send your child to school with any of the allergy free candies mentioned in the post above. By preparing yourself ahead of time, there’s no need to feel overwhelmed when Halloween does hit. Remember that just because you or your little one has eczema, doesn’t mean you/they need to miss out on the fun. Do you have any tips for an eczema-friendly Halloween ? Let us know in the comments below!